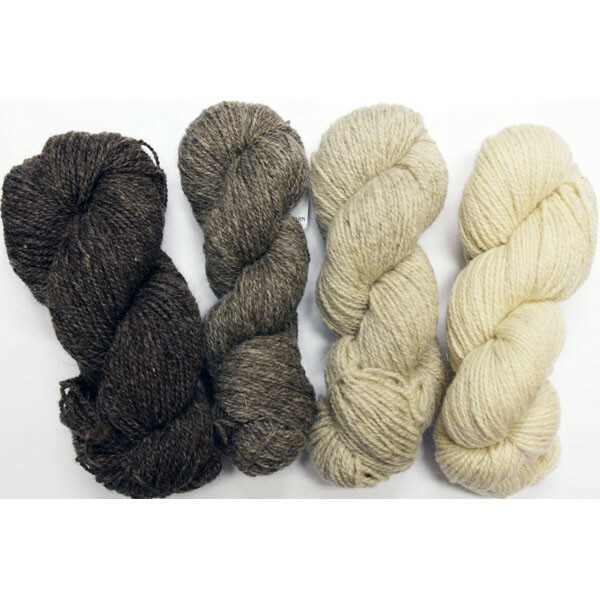 Unbleached, undyed sheep-shades in either 2-ply or 3-ply. Ideal for Faroese sweaters, plus Arans and Guernseys, caps and mittens. Natural shades can be paired with Rangeley dyed colors. Material: 100% Undyed Wool Weight: 4 oz. skein Yardage: 2-ply 210 yds. 3-ply 130 yds. Gauge: 2-ply, 4 to 4 1/2 sts to 1 inch. 3-ply, 3 to 3 1/2 sts to 1 inch. Price: $9.30 per skein. Choose the quantity for each color you wish to order and click Add to Cart at the bottom of the page.